I am passionate about adventure travel and feel very lucky to be able to share that passion with others through Old Town Outfitters. I'm originally from Savannah, Georgia but have been living in Antigua, Guatemala for 9+ years now. I head up the team at Old Town where we strive to provide unique, high-quality trips which create rewarding experiences for our clients. My friend and business partner, Matt Hartell, started Old Town Outfitters 20 years ago and we continue to be the leaders in Guatemalan adventure travel. Our philosophy is based around supporting the local economy via employment of local guides, promoting responsible travel, and sponsoring meaningful local NGO's. "We specialize in adventure and experiential tours throughout Guatemala and into neighboring countries. Our main adventure sports are volcano hiking, mountain biking, sea kayaking, and rock climbing. Our local guides will take you into the mountains, jungles, beaches, and old forests of Guatemala for an unforgettable adventure. We find that many people who visit Guatemala for the first time are surprised by the rich cultural and outdoor experiences we have to offer. That's the part of the job we enjoy the most, making you want to come back for more adventure in the future! " "Working for Delta Airlines during my college years gave me a springboard into the world of travel. I was taking off to new destinations every free moment and this confirmed my dreams of making travel the heart of my world. Both personal and professional travels have connected to me to so many good people in the world and I'm looking forward to many more of those connections. I was on one of my Delta adventures when I first visited Guatemala and fell in love with the local culture and landscapes. The country is a beautiful playground for any adventure traveler and still continues to surprise me to this day. You'll find that it is not an uncommon story for people to visit Guatemala and be so enchanted that they return many times, sometimes relocating for good. After a few years of guiding motorcycle tours through Guatemala, El Salvador, and Honduras, I joined Matt at Old Town Outfitters and have been helping grow the business ever since. " "In my early days of living and working in Guatemala, I was always exploring the country on my motorcycle in search of new experiences to share with clients. One of these trips took me to the far northwest corner of Guatemala, near the Mexico border. Motoring along a very remote road, my front tire blew out and I all of the sudden found myself sliding across the road and into a ditch. The next 24 hours were a great example of the kindness, generosity, and hospitality that I've found among Guatemalans. Starting with the curious locals that first ran to check on me, the local police who loaded my moto into their truck, the local nurse who patched up my cuts and bruises, and finally to the local elderly couple who took me in for the night so I could rest. That afternoon I fell asleep only to be woken by a tropical story coming through Playa Tilapa in the middle of the night. The lamina roof of their small hotel was flopping around as rain and wind were crushing this small town. As I couldn't sleep, I resigned to lighting a candle and working on my moto in the hotel lobby. Soon Ted and his wife Rosaria joined me with hot coffee and we shared stories until sunrise. It was during those hours that I realized that Ted was actually in a book I read years ago, "In Search of Captain Zero", a surfing adventure from 20 years ago. It was one of those amazing small world connections that could only happen through a combination of mishaps and adventures that traveling the world seems to always create. " Experience the rich culture, natural beauty, and adventure of Guatemala on this 10-day itinerary. You'll stroll through the well-preserved colonial town of Antigua, with its cobblestone streets, ruins, elaborate churches, and bustling market; visit Lake Atitlan and its three surrounding dormant volcanoes; and explore the history of the Maya ruins at Tikal. This is Guatemalan trekking at its best. The Western Mayan Highlands Trail follows ancient trade routes that once connected the Mayan civilizations of Lake Atitlan to those of Quetzaltenango. Much of this walk is above 10,000 feet (3,000 m), providing phenomenal views of 15 different volcanoes. Watch the sunset over Lake Atitlan, and finish your hike with a dip in the Fuentes Georginas hot springs. I was very impressed with how easy it was to book my itinerary and learn about my options. Liaising with Chris was simple, quick and the information I received was concise and very accurate - I've not been so impressed with how easy and exciting it was to book a trip! The staff at Old Town Outfitters were so easy and comfortable to be with and they ran the day and overnight tours very capably. Saes, Lucas and Marco, in particular made my experience memorable and I had much fun mountain biking, kayaking, hiking, camping and driving with them. The equipment I used was of top quality - mountain bikes, tent, sleeping bag and mattress, and the food for picnic lunches and dinner and breakfast was fresh, local and delicious. The tours I joined included the mountain bike around Antigua, day hike up Pacaya Volcano, overnight hike of Acatenango Volcano and multisport overnight trip to Lake Atitlan. These tours covered amazing scenery, gave an opportunity to see local life, traditions, culture and nature (especially the eruptions at night on Fuego Volcano) as well as have so much fun doing physical activities. It was an ideal way to see these areas of Guatemala. Antigua is a gem for Guatemala and Central America. I could not endorse Old Town Outfitters and their staff more highly and I would most definitely book with them again. Thank you for the kind words Daniel and I'm so glad you had a great time in Guatemala! We love sharing the country's highlights with our guests and you certainly saw some good ones. The lava eruptions of Volcan de Fuego were the cherry on top. Be sure to spread the word to your friends and family, the more people know about Guatemala the better. Cheers! Thank you for the review Anne-Marie! I'm glad you and the family had a great time on the Pacaya hike and it looks like you had great views. Be sure to spread the word to your friends, we love sharing Guatemala with the rest of the world. Cheers! Thank you for the review Kathryn and we're glad you decided to come to Guatemala! Good points about the lake - we'll keep sharing that. Be sure to spread the word to your friends, we love sharing Guatemala with the rest of the world. Cheers! Appreciate the review Chris and we're glad you enjoyed the Multi-Sport adventure! Be sure to spread the word to your friends, we love sharing Guatemala with the rest of the world. Cheers! We just got back from an amazing trip in Guatemala. Chris from Old Towne was so amazing in arranging an unforgettable experience for me and my mom despite the time constraints (we only had an extended weekend to spend in Guatemala). Chris has a thorough and very professional team to support a large variety of trips tailored to your needs. He is connected with local guides on the ground that can make your dream come true depending on what you want to concentrate on. I would definitely come back to Guatemala and hands down would go there again by utilizing Chris's services and team. Special thanks to Marco, who was so wonderful in guiding us through Guatemala ensuring we are having a good time and taking wonderful pictures of us all. Wili was just wonderful in following up with my mom while climbing the Volcano and preparing us a one of a kind picnic meal. Thanks for the review Ran! I'm so glad you were able to surprise your mom with a visit to Guatemala and share our beautiful country with her. I talked to some of our other clients that met you along the way and they were telling me how enthusiastic you all were. All the guides enjoyed their time with you and we're looking forward to hopefully seeing you here again one day! Happy new year Darshan! Thank you for taking the time to leave us a review and for visiting our beautiful country. I know Oseas had a good time with the whole group and I will certainly pass along the feedback to him as well. Here's to a great 2019 and hopefully we will see you again in Guatemala one day! Overall; it was an epic trip! Definitely exceeded my expectations. I loved Semuc Champey, but the caves were my favorite part by far (it was raining so they were extra exciting). And the hike along Atitlan was absolutely breathtaking. Can’t wait to come back for Tikal! And for some bird watching. Oseas is passionate about his country & it’s beauty, so I’m glad I was able to tour it with his perspective/insight. I'm especially thankful for Chris being able to calm my Mother down when the volcano erupted, as she was on edge when I wasn't able to respond to messages during the trip to Pacaya. My local guides were always on time if not early. They were friendly and never made me feel uncomfortable. I wouldn't hesitate to travel through Old Town Outfitters again in the future. Happy holidays Amanda and thank you so much for the kind words! It's always so nice to hear from our clients after they've returned home and especially when they're hooked enough to return to Guatemala in the future. We're celebrating our 20 year anniversary now so you can be sure we'll be here when you come back. All the best! Five stars is not enough! We gave Chris our wish list and he delivered with an amazing trip! Two weeks to see the best of Guatemala and Copan - accompanied full time by Pepian ( quite possibly the best guide EVER! ) We climbed Pacaya with local guide/amateur botanist Monkey and toasted marshmallows over the HOT lava rocks, saw the sun rise over temple IV at Tikal, shopped till we dropped at several markets, learned how to make tortillas and Pepian Chicken in Xela with local guide David, kayaked hiked and rode in boats around Lake Atitlan, and toured Antigua. Then my husband became ill and Chris and Pepian moved heaven and earth to get him to medical care and home. Now that he’s recovering we are hoping to finish our trip next year....... I highly recommend Chris and his team! Thank you for the review Bonnie! It was a pleasure to host your group in Guatemala and even though we had to make some changes on the fly, Pepian really enjoyed his time with you all. We're looking forward to your next visit to Guatemala - definitely more to see! All the best to you and the family throughout the holidays! Chris was very flexible in the modifications we made to our schedule and had some on the spot great suggestions along the way. Thanks for the review Bruce! It was great to meet you and the family in Antigua. Pepian had a great time sharing Guatemala with you and I hope you learned a lot about chocolate. I look forward to hearing more about your future chocolate endeavors and hope to see you in Guatemala again soon! Guide - Mario - excellent - great guy, very knowledgeable about the area and culture, excellent language skills, friendly, considerate - perfect ! Operator - Chris - very professional in organizing the trip. But, I expected him to come by at the hotel after arrival to review the trip and get to know each other. Again very well organized but a bit missing that personal touch. Day 3 Lake Atitlan - lake and boat ride as well as the visit to the first Mayan city were super nice (visited local crafts such as herb thee growing and textile weaving). Second city on the lake was boring and from my point of view even annoying to be dragged around town to see the local beliefs and religion. Day 4 Kayaking and Hiking on//along lake Atitlan was great. Day 5 Mayan ruins at Ixemtche - super nice but we spend a lot of time that day in the car. All in all it was a great trip especially taking into account the very short notice we had to get it organized. Many Thanks. We're definitely planning on going back to Guatemala when we have a bit more time to stay longer. Thank you for the thorough review Herman and I'm glad you enjoyed Guatemala! Mario told me afterwards that he really enjoyed your company. I know this was a very quick process from the initial conversation to your visit, hopefully we were able to provide a great getaway for you. Apologies for not being able to meet you in person, perhaps in the future. Best of luck in the new endeavors and we do hope to see you in Guatemala again in the future! Chris and team provided my family with the best vacation we have ever shared together. This was the first trip to Guatemala for my 2 biological children, as well as the first trip to Guatemala for my youngest daughter that we adopted from Guatemala 13 years ago. It was also our first opportunity visit with Telma, a 9 yr old girl that we sponsor from Guatemala through the organization, Unbound. When I first reached-out to Chris, I didn't know what to expect. I had very little knowledge about Guatemala, but wanted to provide my family a very special experience. 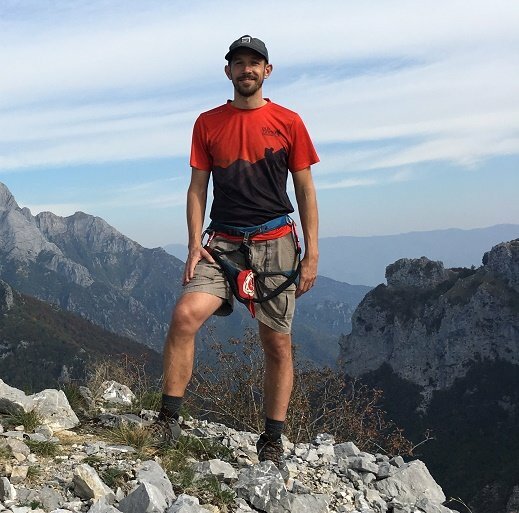 With just a few suggestions for sights we wanted to see and activities that we wanted to experience, Chris created a complete 7 day itinerary, that included, hotel accommodations, guides, ride transfers, necessary equipment, etc.. no details left out. It was a completely seamless experience which made our trip so enjoyable and stress free. Chris immediately responded to all my requests and questions. I also can not say enough about his staff. We had the pleasure to spend 4 days with Alex, our guide, who lead us through mountain biking, volcano hiking, village tours, kayaking, and who shared with us his culture and country's history. Along the way he introduced us to many locals that added to our experience. We had "Monkey" guide us up Pacaya, and make us Smores from active volcanic ash and rock. We met Mary a local villager from Santiago, who taught us how create a traditional Mayan headdress, We met Delphina and her sister, who belong to a local textile cooperative in San Juan who shared with us their family craft of making textile goods by hand. While stopping for lunch at a restaurant we were invited to make our own tortillas. Lastly, we had the opportunity to hike the ancient city of Tikal and experience the ruins with our guide Andres. He was very knowledgeable about Mayan history and was able to share the history of Tikal with our family. Never would we have experienced so much in such a short time without the help of Chris and KimKim. Thank you guys for the trip of a life time!!! Wow Mike, thank you for such a thorough and thoughtful review! 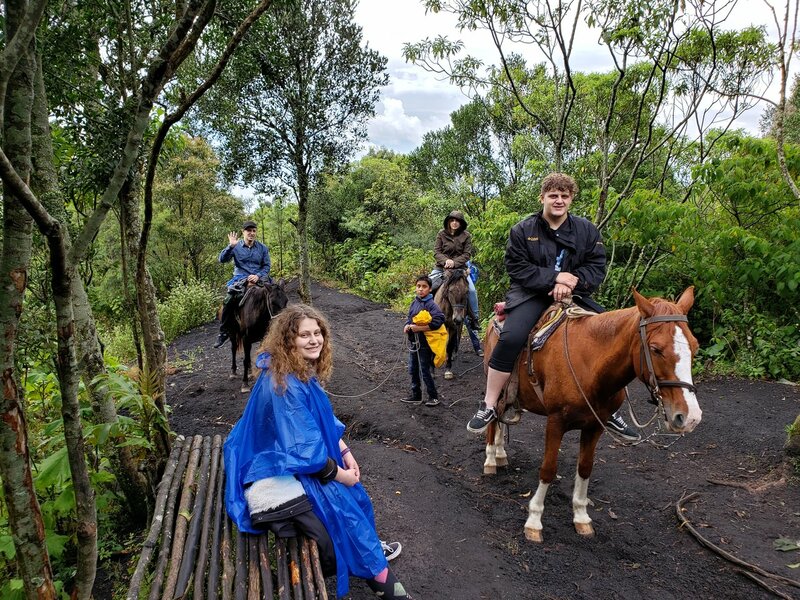 These are the types of trips that are rewarding for our team and we're so glad that you and the rest of the family enjoyed your trip to Guatemala. It's hard to describe but I believe you found the personal connections with Alex, Telma, Mono, and so many other locals that make visiting Guatemala so special. I will be sure to share your review with Alex and the rest of the Old Town Outfitters team , thank you again. We look forward to seeing you back in Guatemala in the future! Overall, the experience is good. The guides are knowledgeable, courteous, friendly; both the guides and drivers are very professional. However, even though this was a private tour, it still felt like we were on a tour group, albeit a very small group of two, with a preset agenda and timetable. The tour was lacking flexibility as we were dashing from one destination to another, spending too much time in a destination that we had no interest in (e.g. the jade shop demonstration or the visit to Maximon) and too little time or not at all in something that we found interesting along the way. I felt we were constantly being told: "Now, sit here and learn about this pyramid. Now, visit this chocolate shop. Now, go in that boat to visit Maximon. etc. etc." Perhaps it was partly my mistake for not explaining very clearly what I was looking for in a "private tour". Instead of a "private tour", perhaps what I had really wanted was simply a driver who can take me to the places that I want to visit and who can help me with the logistics of getting tickets, figuring out boat schedule, etc. And speaking of driver, our driver, Danillo, was very nice. But his driving is frightening; we always seemed to be in a rush to be somewhere at a certain time, just like in a group tour. We felt so relieved when the tour was over and we had just a little bit of time to ourselves in Antigua. Thank you for the honest and frank feedback Agus. This type of feedback is how we learn from our clients and try to always improve our service for future tours. I do think we were maybe on 2 different pages in terms of a "custom tour" vs. more of a "fixer" along the way to help facilitate your own ideas/plans. Our experience has been that most of our clients prefer to have the plans/logistics coordinated ahead of time but I appreciate your desire to do more as it comes to you. I will also have a meeting with Danilo about this driving, that's feedback that we take seriously and never would want our clients to feel unsafe during transport. Thank you again for your feedback and business - best of luck in your future travels! Chris and his colleagues did a great job planning our vacation in Guatemala and we had an excellent time. The visit to Pacaya Vulcano followed by the spa experience was a treat for the entire family. The white water rafting day was fun and we were happy to hear about the noble mission of Rios Guatemala (the rafting company) which is a non-profit aiming to use the money raised from organizing adventure trips to cleanup the rivers in Guatemala and educate the local communities how important is to keep the nature clean of garbage. And lastly, our tour guide Alex was really nice and we enjoyed his company for the first 2 days---very knowledgeable and passionate about Antigua history and our kids loved hanging out with him. Thank you again for your business Ioana and your kind words above! Alex said he had a great time with the kids and we hope that we left a good impression of Guatemala with the entire family. Hopefully we will see you again in Guatemala one day! Sebastian our guide on the hike up the volcano was great. Roasting marshmallows on the fresh lava rocks was fun! Thank you again for your business Bryan. 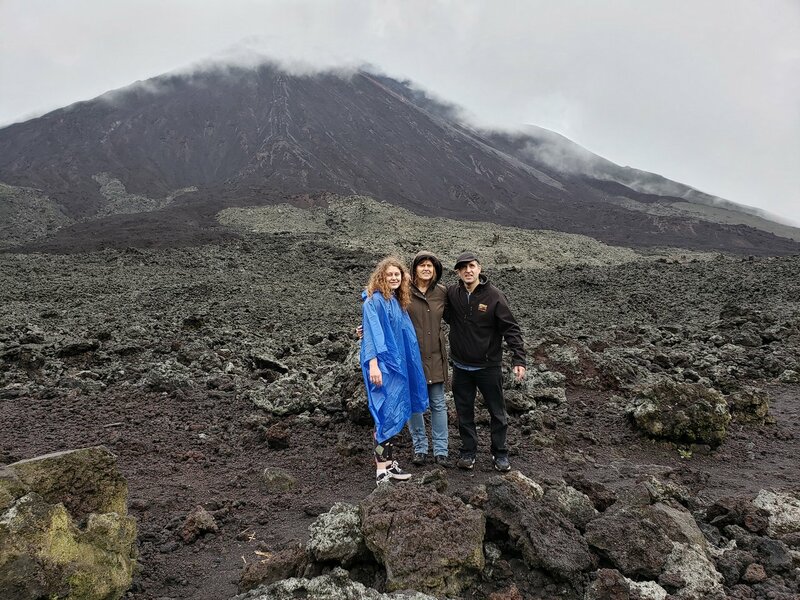 It was a pleasure to have you and your family out on Pacaya Volcano with us. We hope to see you again in Guatemala one day! My son and I were planning a trip back to his birthplace in Guatemala as well as visiting some orphanages along the way to bring them some donations he had collected. Chris was amazing in helping me out figuring out what was doable and what was not. I truly appreciate all his help which is why I am not giving this a worse review. I also loved our tour guide Ricardo to Rio Dulce Las Canchas and the place he sent us too. However, it really was not a replacement for what I told him my original plan was for that day which was a relaxing day at Semuc Champey. The first tour to Tikal was very good in that Edwardo was able to show me the rules of the road since he drove my car to Tikal. He was also able to speak to the Hertz rental car person when they lost my reservation. That was great!! As for the other tours not so great. After great discussion with Chris that I thought the tours he was offering were far more expensive than others I found on different tour sites he assured me that they were better in quality. We initiated the early departure to Pacaya Volcano so that we could get back on the road to our next destination. We were not to be picked up at the hotel rather meet at his place in Antigua. We also encouraged him to find more people to go on the trip as it would be cheaper and more entertaining for us. They did find one more for the pacaya trip and apparently they left without us. We were told that his place was next to Central Parque and a map we had said it was on the corner of it. So we went to all 4 corners before we decided to head down a remote street and found it at 7:15. I tried to call Chris and no one attempted to call me as Edwardo did when our plane was delayed for Flores. So I feel that us being the original people for this tour and the fact that we had already paid deserved a call to see if we were having difficulty. If that had happened they would have found us one block away. I am not sure if Chris did not give him the number or he chose not to try it but either way it was unprofessional. At this time I chose to cancel our last trip in Pana as I did not see anyone else joined and I did not want to pay the huge price for a potentially unsatisfactory trip as well. Chris has graciously attempted to return some of the money however, I am not sure if I agree with taking the 25% off of the last trip as we cancelled in plenty of time. I am not saying I would not recommend this site again but I certainly would have some reservations. I appreciate the return of monies but it would be better if it was a full return especially since the 2nd one was not exactly what we expected either but we were not asking for a return. Sorry this was long, but I guess I wanted to make sure you got all the information. The whole trip was so great and beyond my expectation. Our leader Alex, was the most professional outdoor adventure leader I've met. He speaks English so well and took good care of everyone. He encouraged me a lot before our hiking to Volcano Acatenango. He made great meals for us during hiking. And he is a really nice guy with kindness and humanism. I appreciate a lot that Old Town Outfitters provided me a so comfortable and enjoyable trip. Other guides and drivers I met during the trip were also great. Luv them all. Thank you so much for your kind words, we always love passing along this feedback to our awesome guides and staff. We hope to see you again in Guatemala one day. Thank you so much for your feedback, great to hear that you enjoyed Guatemala so much! I will pass along your comments to our guides and we look forward to seeing you again in the future! Thank you for the kind words, it was our pleasure to host you and Emma on the outings during your Guatemala visit. I will pass along your praise to our guides, they always appreciate hearing from our clients. Thank you again for your business and we hope to see you in Guatemala again one day!